Your new puppy or dog, cat or kitten will most likely be a part of your life for many years. Are you ready to make that commitment? Can you afford the costs of your new pet, medical care and emergencies, boarding costs if you travel, food, toys, grooming? Is where you live appropriate for the type of pet you've chosen? Is the breed and/or age of the pet you're interested in a good fit for your lifestyle? Be honest! If you're a couch potato at heart, your good intentions of going to the park every day with a young, active dog might not come to pass. How much time do you have available for your pet, in comparison to the needs of the pet you've chosen? For example, a puppy is not a good choice for someone who works long hours. If you're adopting a dog, he might already have negative opinions of people. He might flinch when you move quickly, or raise your voice. Approach him with confidence and he will learn to be confident too. He may forget his manners, if he knew them at all, and need you to show him the rules again, consistently and fairly. It might take some time and again lots of PATIENCE but soon he will become your dog and it will all be worthwhile. PLEASE consider taking your dog to obedience classes! Even experienced dog owners can always learn something new. An ounce of prevention is worth a pound of cure! If you've put the effort into helping your dog be an enjoyable family member, odds are you'll want to stay with him or her throughout their whole lives. Check our business partners' page for trainer suggestions. When you bring your new pet home, please realize this is all a big change for him or her! Even a young puppy or kitten has had several situations to adjust to before coming home with you. An adult dog or cat may have had many more. Somehow or another, through no fault of her own, your new dog or cat may have found herself homeless and then bounced around through any number of changes, and it may take her some time to settle into her new home. Try to be reasonable in your expectations. Accidents may occur. Set rules for your dog to follow and make sure everyone else in the family is prepared to follow through on those rules as well. Sometimes it can take many weeks until your pet becomes completely comfortable. Please commit to giving them that time! If you're adopting a cat, he might hide when he first gets home. He might forget some of his litter box habits or bringing a new pet home might cause your previous cats to not use one. Give him time! Some encouragement, a lot of love and even more PATIENCE and he'll be a wonderful companion. Are you still with us? Good! Not all dogs or cats will come with this much baggage but it's best to be prepared! When you consider how many hundreds of unwanted dogs and cats come through Planned Pethood's adoption program alone, you'll understand why it's so important to us to try to assure the best possible adoptions, so you and your pet have many enjoyable years together. Before adopting from any group, it is important to know how the animals are cared for and what the rescue group's policies are. You may also want to know if they are a legitimate 501(c)(3) non-profit organization. If a group is claiming they have a "PENDING" 501(c)(3), ascertain if the rescue honestly has a pending application with the IRS. Often, scammers know you won't look or question. Often, they don't even have a pending status; they are claiming it's pending to explain away why you can't find them as a legitimate charity listed anywhere. All family members must be present at the time of adoption. If you rent an apartment, house or live in a trailer park, we will need a copy of your lease showing permission to have a pet before adoption. While we try to have enough screeners to move things along, you could have as much as a 2 hour screening wait at our weekend adoption events. Although we try to be 100% accurate, we cannot guarantee breed, estimated size of puppies when full grown, or any other statements made on the website, at visits, or at our adoption events. The age of our pets has been determined by a veterinarian. 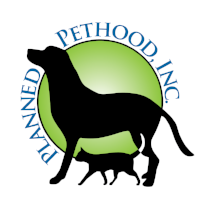 All of our pets have been spayed or neutered, vaccinated appropriate to their age, and vet checked before adoption. We no longer accept out of town checks.